Happy New Year!!!! It's only a few days into 2014 and already there are six new releases for the first five months of the year to look forward to. That's pretty amazing! So here we go!!! In January, there are two new releases. Foreign Gods Inc., by Okey Ndibe, which is published by Soho Press, will be out January 16th. 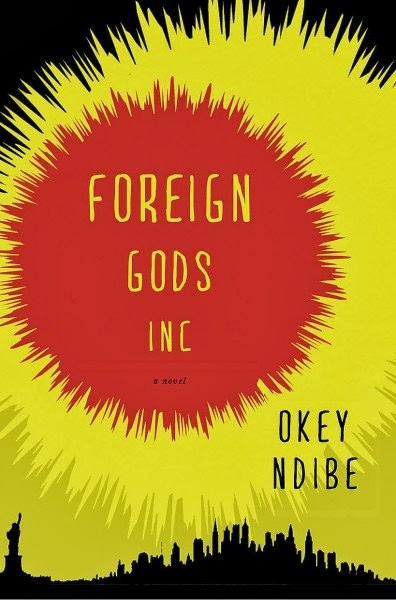 It tells the story of Ike, a New York-based Nigerian cab driver who sets out to steal the statue of an ancient war deity from his home village and sell it to a New York gallery. Ike's plan is fueled by desperation. Despite a degree in economics from a major American college, his strong accent has barred him from the corporate world. Forced to eke out a living as a cab driver, he is unable to manage the emotional and material needs of a temperamental African American bride and a widowed mother demanding financial support. When he turns to gambling, his mounting losses compound his woes. And so he travels back to Nigeria to steal the statue, where he has to deal with old friends, family, and a mounting conflict between those in the village who worship the deity, and those who practice Christianity. A meditation on the dreams, promises and frustrations of the immigrant life in America; the nature and impact of religious conflicts; an examination of the ways in which modern culture creates or heightens infatuation with the 'exotic', including the desire to own strange objects and hanker after ineffable illusions; and an exploration of the shifting nature of memory Foreign Gods is a brilliant work of fiction that illuminates our globally interconnected world like no other. 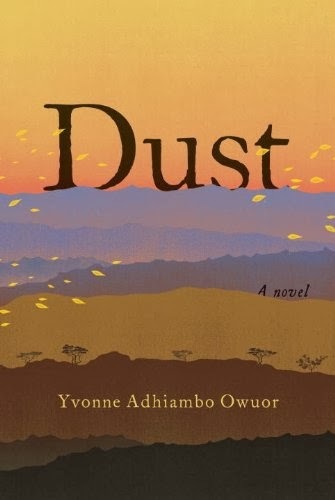 Dust by Yvonne Adhiambo Owuor is about a splintered family in Kenya—a story of power and deceit, unrequited love, survival and sacrifice. It is published by Knopf and will be released January 28th. Odidi Oganda, running for his life, is gunned down in the streets of Nairobi. His grief-stricken sister, Ajany, just returned from Brazil, and their father bring his body back to their crumbling home in the Kenyan drylands, seeking some comfort and peace. But the murder has stirred memories long left untouched and unleashed a series of unexpected events: Odidi and Ajany’s mercurial mother flees in a fit of rage; a young Englishman arrives at the Ogandas’ house, seeking his missing father; a hardened policeman who has borne witness to unspeakable acts reopens a cold case; and an all-seeing Trader with a murky identity plots an overdue revenge. 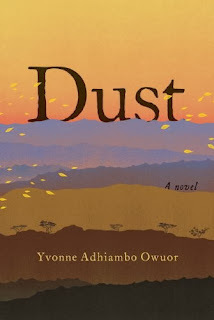 In scenes stretching from the violent upheaval of contemporary Kenya back through a shocking political assassination in 1969 and the Mau Mau uprisings against British colonial rule in the 1950s, we come to learn the secrets held by this parched landscape, buried deep within the shared past of the family and of a conflicted nation. Here is a spellbinding novel about a brother and sister who have lost their way; about how myths come to pass, history is written, and war stains us forever. 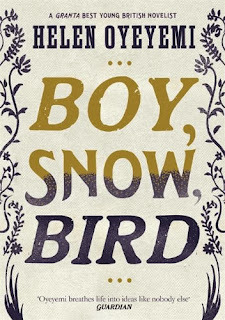 Boy, Snow, Bird will be published February 27th.This is the fifth novel from award-winning author Helen Oyeyemi, who was named in 2013 as one of Granta's best of young British novelists. Boy, Snow, Bird is a deeply moving novel about three women and an unbreakable bond. BOY Novak turns twenty and decides to try for a brand-new life. Flax Hill, Massachusetts, isn't exactly a welcoming town, but it does have the virtue of being the last on the bus route she took from New York. Flax Hill is also the hometown of Arturo Whitman - craftsman, widower, and father of Snow. SNOW is mild-mannered, radiant and deeply cherished - exactly the sort of little girl Boy never was, and Boy is utterly beguiled by her. If Snow displays a certain inscrutability at times, that's simply a characteristic she shares with her father, harmless until Boy gives birth to Snow's sister, Bird. When BIRD is born Boy is forced to re-evaluate the image Arturo's family have presented to her, and Boy, Snow and Bird are broken apart. Sparkling with wit and vibrancy, Boy, Snow, Bird is a deeply moving novel about three women and the strange connection between them. It confirms Helen Oyeyemi's place as one of the most original and dynamic literary voices of her generation. On March 20th, Teju Cole's novella EveryDay is for The Thief will be published by Faber & Faber. First published in 2007 by Nigerian publisher Casava Republic, it will now be available outside of Nigeria. A young man decides to visit Nigeria after years of absence. Ahead lies the difficult journey back to the family house and all its memories; meetings with childhood friends and above all, facing up to the paradox of Nigeria, whose present is as burdened by the past as it is facing a new future. Along the way, our narrator encounters life in Lagos. He is captivated by a woman reading on a danfo; attempts to check his email are frustrated by Yahoo boys; he is charmingly duped buying fuel. He admires the grace of an aunty, bereaved by armed robbers and is inspired by the new malls and cultural venues. The question is: should he stay or should he leave? But before the story can even begin, he has to queue for his visa. 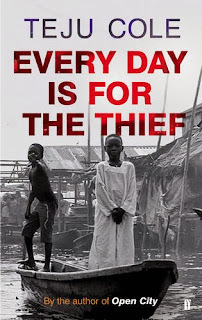 Every Day is for the Thief is a striking portrait of Nigeria in change. Through a series of cinematic portraits of everyday life in Lagos, Teju Cole provides a fresh approach to the returnee experience. 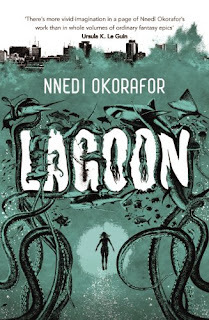 Hodder & Stoughton will first release Nnedi Okorafor's Lagoon in April. Then in May Sarah Lotz's The Three will be published. 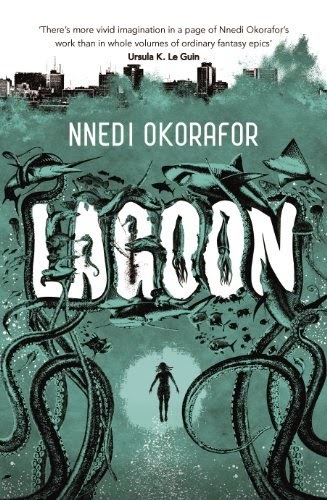 Lagoon by Nnedi Okorafor will be out April 10th. Three strangers, each isolated by his or her own problems: Adaora, the marine biologist. Anthony, the rapper famous throughout Africa. Agu, the troubled soldier. Wandering Bar Beach in Lagos, Nigeria's legendary mega-city, they're more alone that they've ever been before. But when something like a meteorite plunges into the ocean and a tidal wave overcomes them, these three people will find themselves bound together in ways never imagined. Together with Ayodele, a visitor from beyond the stars, they must race through Lagos and against time itself in order to save the city, the world ... and themselves. 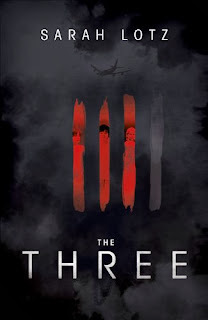 The Three by Sarah Lotz is out May 22nd. Black Thursday. The day that will never be forgotten. The day that four passenger planes crash, at almost exactly the same moment, at four different points around the globe. There are only four survivors. Three are children, who emerge from the wreckage seemingly unhurt. But they are not unchanged. And the fourth is Pamela May Donald, who lives just long enough to record a voice message on her phone. A message that will change the world. The message is a warning. What about Lusophone African Literature?